I have been to a Starbucks coffee shop once, several years ago, in Duesseldorf. It was about two weeks before Christmas, the city was horribly crowded, people running around with tight faces, totally stressed out and always in a hurry. And the weather was gray, chilly and wet. And then I detected the first Starbucks coffee shop I'd ever seen. Excitedly I grabbed DH's sleeve and dragged him to the entrance, crying: "Look, there, a Starbucks, let's go in!!" Luckily, he's a huge espresso and cappuccino lover and was as curious as I was. We squeezed ourselves through the door into the equally crowded shop and made it to the counter. Stupefied by all the noise and the impatiently pushing and elbowing folk we just ordered a cappuccino each, finished it and gladly escaped that stuffed place. Okay, I wouldn't have been able to try the baked goodies, but at that time I still consumed cow's milk, so I could at least have tried a fancier drink than plain old cappuccino! But no, I didn't, and that was my last visit to that place so far. A girl can dream, though, so I keep dreaming up fancy coffee drinks which actually are yummy and much healthier than the "real thing". 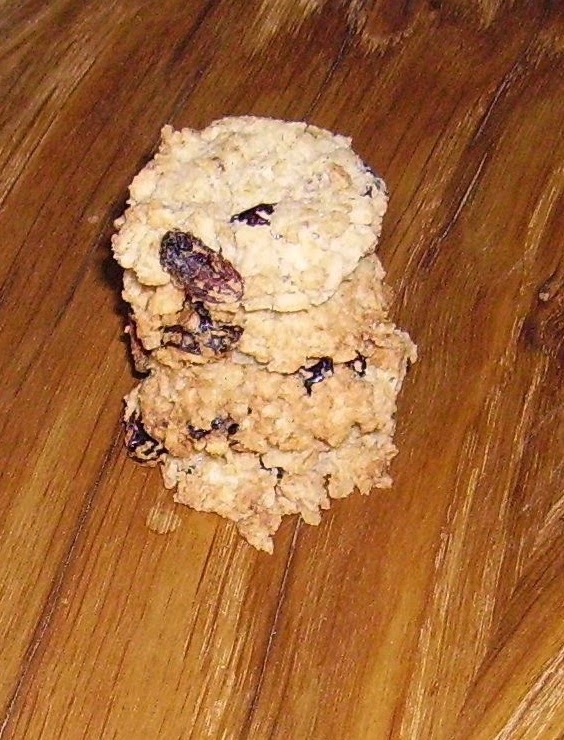 When I looked for oatmeal cookie recipes the other day, I happened to stumble over this Starbucks Outrageous Oatmeal Cookies copycat recipe and decided to make it gluten free. If I may say so myself, it turned out great. 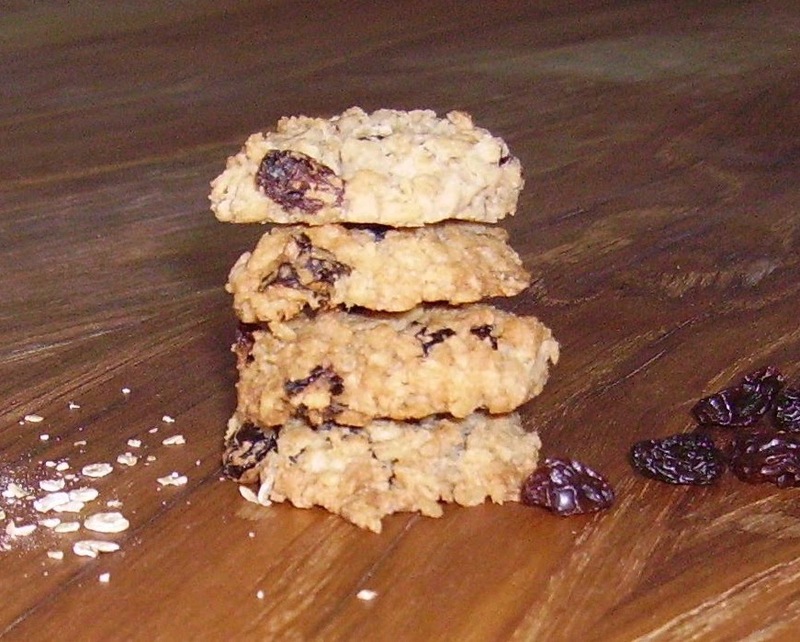 But then you can hardly make anything wrong with oatmeal cookies, right? Just make sure you tolerate oats and your oats are certified gluten free! By the way, I made this with rice flakes and buckwheat flakes (both look like rolled oats), too, and it was just as good as with oats. 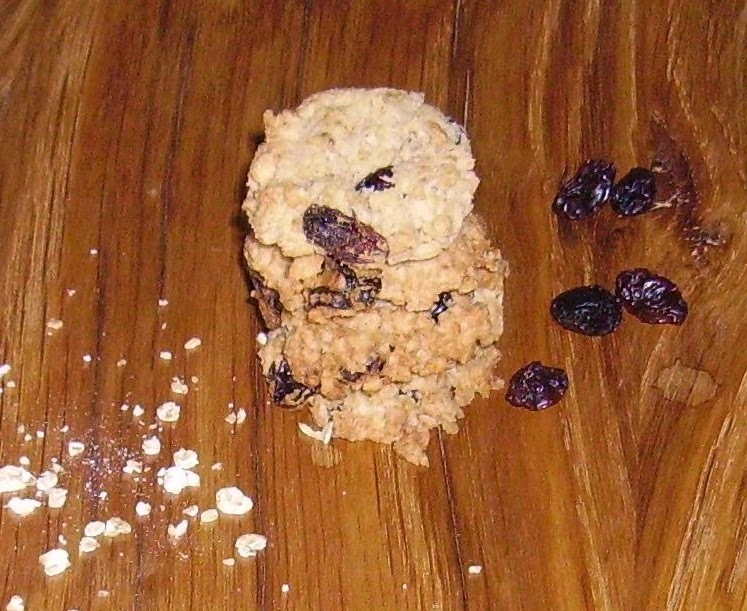 Blend oats, brown rice flour, xanthan gum, baking powder and soda, salt, raisins, chopped apricots and cranberries. In a separate bowl, beat margarine or coconut oil with sugar and erythritol until light and fluffy, add egg, vanilla and cinnamon until well combined. Add oat mixture to margarine mixture, combine well. Drop dough 2 inches apart by either rounded teaspoons or tablespoons onto lightly greased cookie sheets (I make my cookies smaller, so I used teaspoons and got about 50 cookies, with tablespoons you will get 24 cookies). Bake about 12-16 minutes, until cookies are golden brown (mine were brown after 11 minutes) and still soft. Thanks so much, Nancy :) I'm glad you liked the cookies as much as I do! Sheepdoc here! These were wonderful. I used a gluten free flour mix that was mostly brown rice and also included xanthan gum. I can't handle sugar alcohols so went with 1/2 cup brown sugar and left out the erythritol. Made for Best of 2014 game. Hi Sheepdoc! Thanks so much for making these, I totally love them, too :) Glad you liked them!